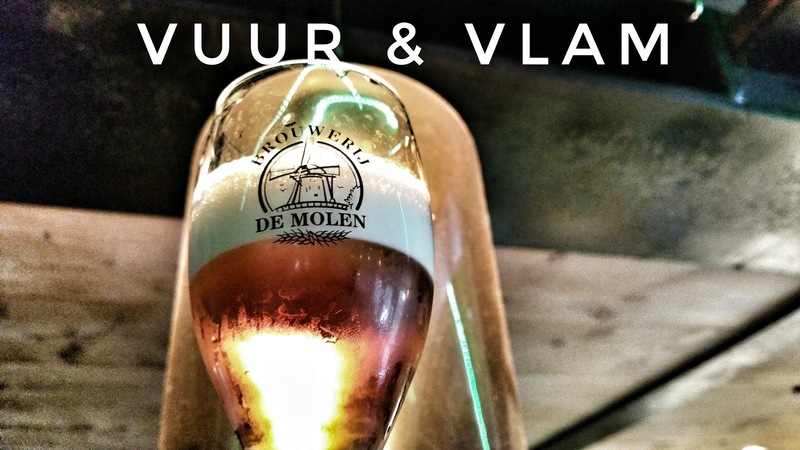 We visited the De Molen brewery in Bodegraven as part of a post-conference excursion after the 2016 European Beer Bloggers Conference. 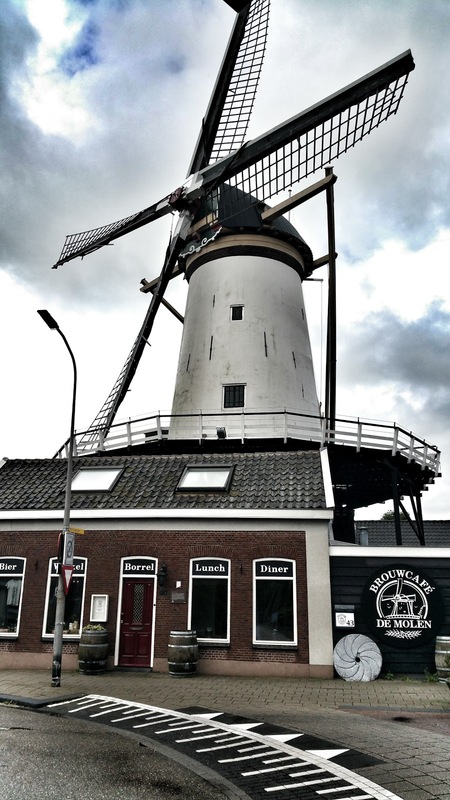 The first stop was the brew café which is housed under the old De Arkduif windmill. The brewery is located a short walk from the train station. One thing to bear in mind is that there's no direct train to Bodegraven from Amsterdam. You have to change part way but the change is quick with only a few minutes in between trains. 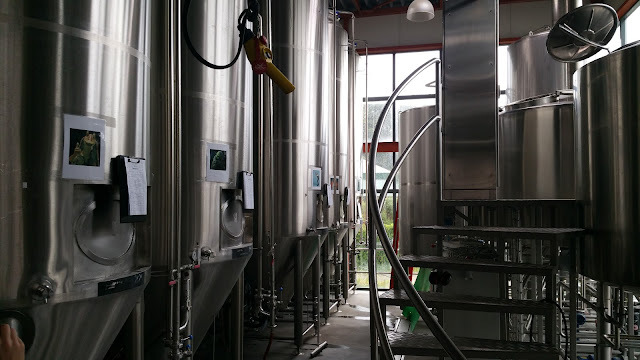 The brewery used to be housed within the brew café/windmill but has since been moved down the road with the original 100 litre* pilot kit put back in place for use in the tours and the occasional one off brew. In fact, the old 500 litre brewery which was in the same room as the above pilot kit has since found a new home at their sister brewery in Rotterdam called Kaapse. The new brewery is practically in the shadow of the windmill. I believe it's a 2500 litre system they are using now. The weather wasn't kind to us, we got a little wet while we waited for the keys to the brewery to be located. The whole system is monitored and controlled from a computer upstairs in one of the new offices. It wasn't technically part of the tour but we had free run of the place so I took a snap. It looks like they can run the system automated if the highlighted button that says Auto is any indication. 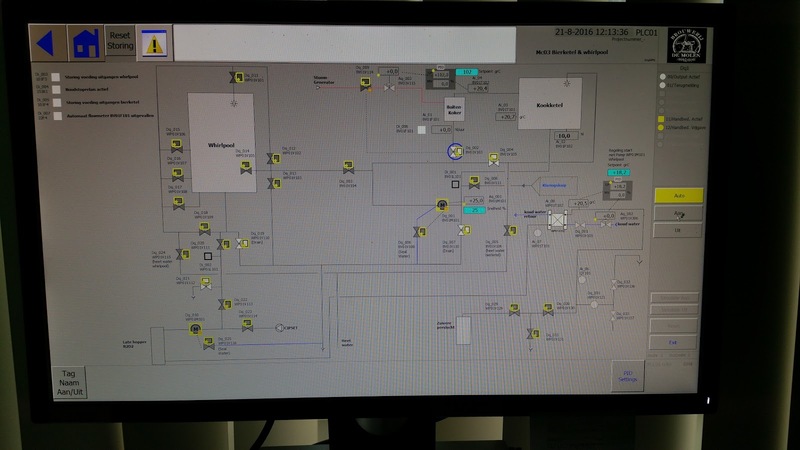 Each of the fermenters have been labelled with Star Wars characters for some reason. I probably don't want to know what comes out of the Jar Jar tank. Looking around the building, it looked pretty impressive but something was missing. There was no packaging facility. A few minutes later, the reason became apparent. 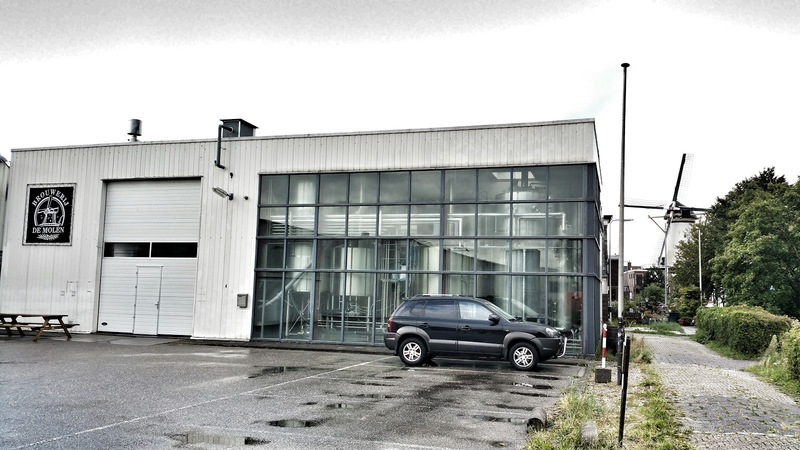 All of the industrial units next to the brewhouse now belong to De Molen and the result is pretty spectacular. The rooms seemed to go on forever. First we came to the packaging area where they bottle and keg their beers and then we headed in to an even bigger building which is where they store their stock and ingredients. 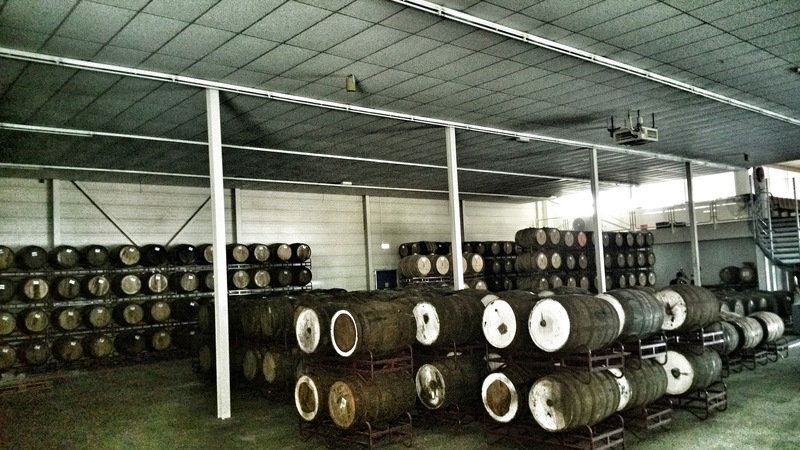 This former children's adventure centre stores many wooden barrels as well as housing their new offices. 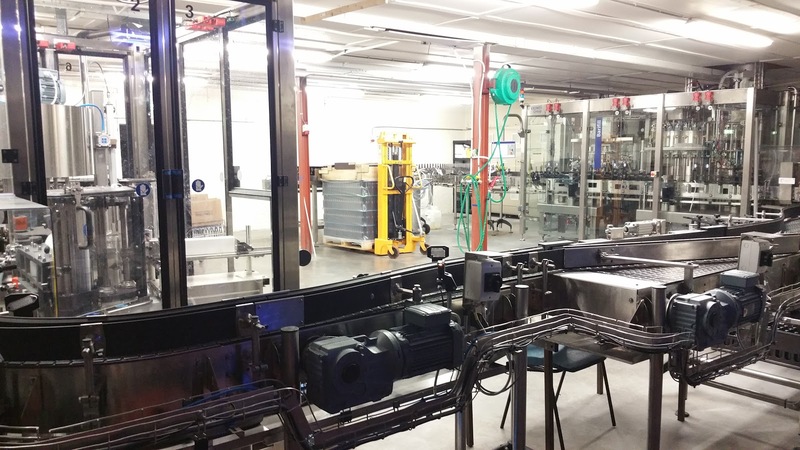 There's still a lot of room inside for expansion and they might think about opening another tap room here. They have a lot of options. Once we were done with the tour, it was time to head back to the brew café for more beer and some lunch. Below are the beers I had during the day. Since most of them were tap rather than bottle, I added in the beer names on my phone when taking the shots. 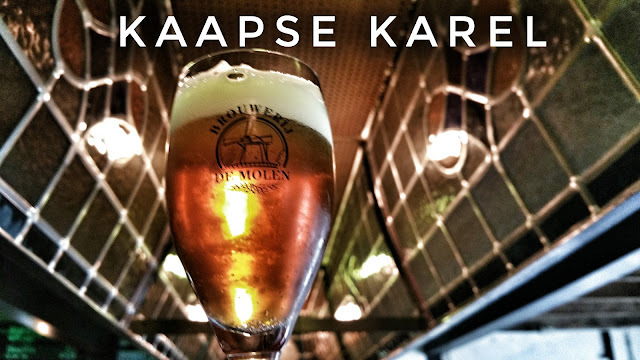 The first beer I tried was Karel from the Kaapse brewery. It's a very taste, citrus froward American pale ale. A very fine 4.5% beer to get us started sometime after 11am. Some Fire and Flames next with Vuur and Vlam. It's a 6.2% IPA and it's pretty damn delicious. I was starting to miss the 4.5% beer by the time I was finished it as it was still only about noon. 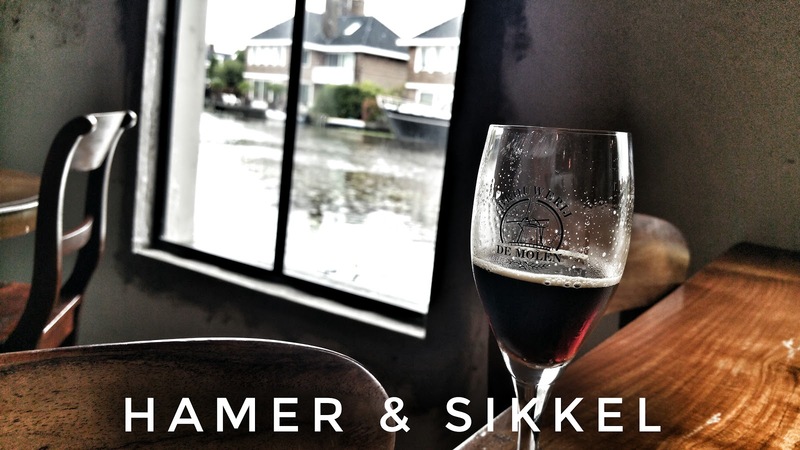 Hammer and Sikkel is a pretty tasty porter but perhaps a little overly carbonated for my taste. 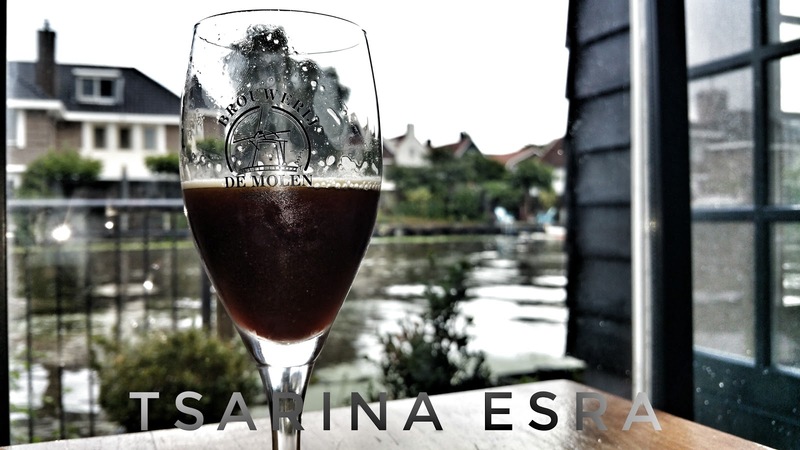 Tsarina Esra is a range of imperial porters and I believe I had the standard one, not one of the barrel aged versions. I liked it a lot and enjoyed every drop. The name Pepperoni Pizza Porter isn't one to entice me I'm afraid but I was curious. It's a collaboration brew between Dutch Drafts (alliance of Dutch specialist beer bars) and Pizza Port Brewing from California. 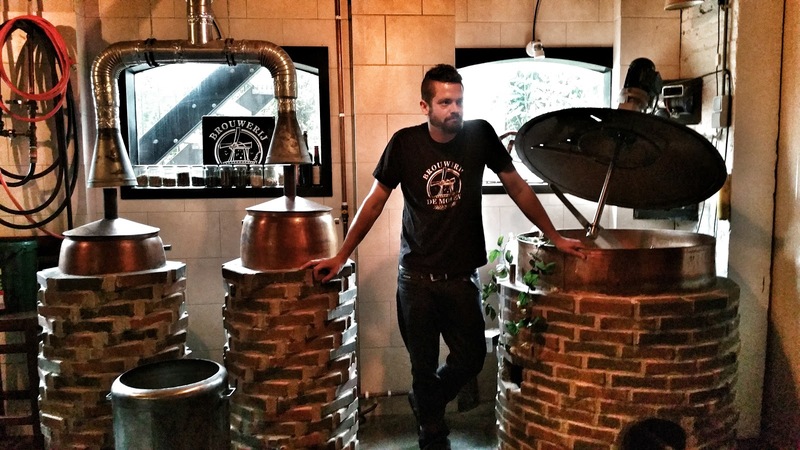 It was brewed at the De Molen Brewery. 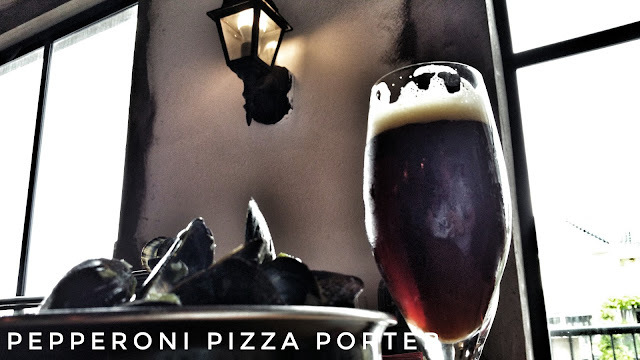 The beer uses smoked malt and chillies to give it some sort of pizza character. Thankfully it fails miserably at any semblance of pizza flavours. Apparently the beer was originally supposed to have incorporated pizza dough somehow. I imagine the somehow was too much trouble to bother with. 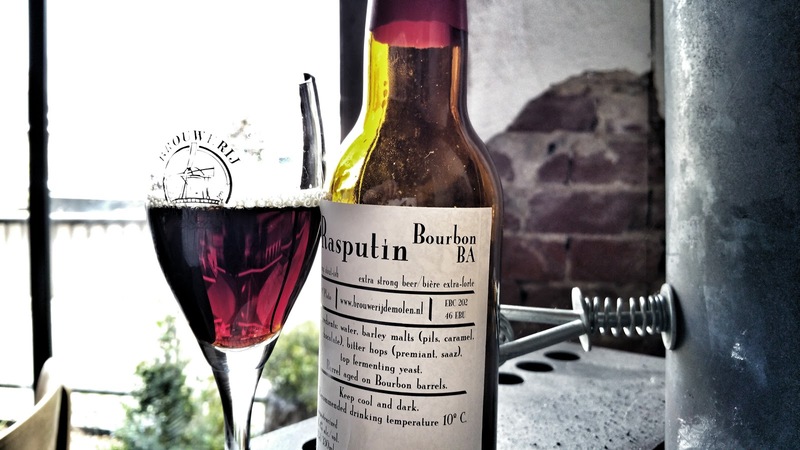 Rasputin is a bourbon barrel aged imperial stout. It looks beautiful with deep mahogany colours and tastes amazing. 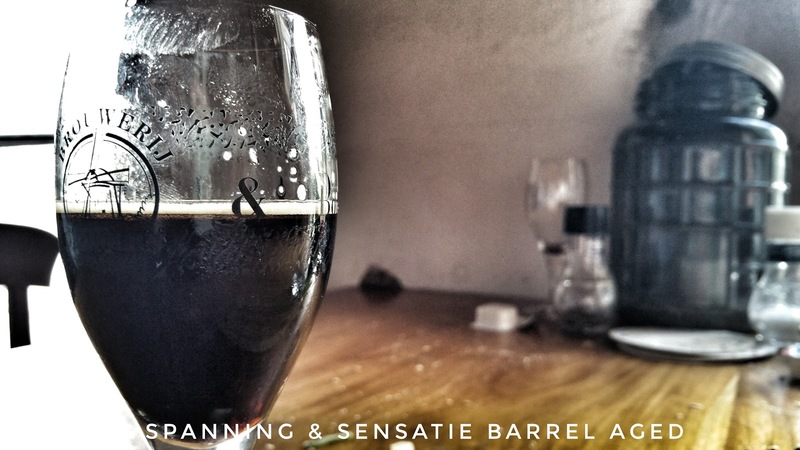 Spanning and Sensatie, another barrel aged imperial stout. This one is much darker with a lot of peated whiskey notes and lashings of chocolate. A big thanks to De Molen for the wonderful day out. Most of the beer was part of the tour and those we bought were excellent value. I could have stayed there all day but we had to get back to Amsterdam to catch our flight back to Dublin. *I'm not 100% sure that it's 100 litres but it looks about that.